Nancy Ivarinen has been a practicing attorney since 1988. She is in private practice in Bellingham, Washington and is program director of the Paralegal Studies program at Whatcom Community College, where she received the Faculty Excellence Award in 2017. Her practice emphasizes general civil litigation, including evictions, collections, real estate, wills, probate, domestic relations (dissolutions, parentage and domestic violence) and elder abuse. 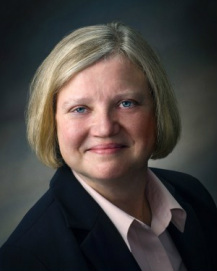 Ivarinen was named the 2010 Professional Woman of the Year by the Whatcom Women in Business. She is also the 2006 Recipient of the Courageous Award from the Washington State Bar Association, "presented to a lawyer who has displayed exceptional courage in the face of adversity, thus bringing credit to the legal profession." She has served on the Washington State Bar Association's Disciplinary Board and on the Practice of Law Board, as an appointee of the Washington State Supreme Court, and was also a member of the Washington State Bar Association's Consumer Protection Committee. Ivarinen is dedicated to numerous community action and legal aid activities. and to savor the world. That makes it hard to plan the day. ©2005 - 2017 Nancy C. Ivarinen -- Disclaimer & Copyright Notice.